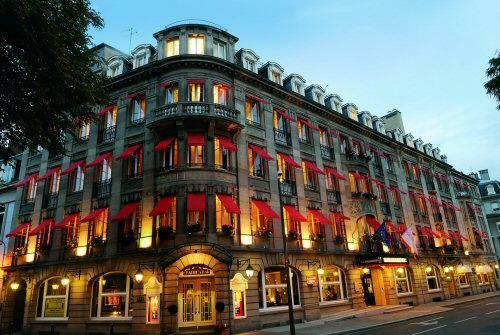 This prestigious Hotel is located at the heart of Mulhouse. It offers 76 calm, spacious rooms decorated in the spirit of Art Deco and the Roaring Twenties. You will certainly appreciate the high levels of comfort with the bathroom decorated in white Greek marble, fitness room and doorman-porter. The gourmet restaurant "Les Salons" offers you creative, gourmet cuisine. For a cocktail with friends or colleagues, Charlie’s bar welcomes you in a muted, jazz atmosphere.